Opened in the 15.th century Hotel Interlaken, in the region of Interlaken, Switzerland, is probably the oldest hotel I have ever slept in. Surrounded by nature it looks quite stunning and I loved the appearance and the interior. Hotel Interlaken is a beautiful 4* hotel located close to the Interlaken East Station, one of the two main stations in Interlaken, and thus very central. The main shopping street is within 2 minutes walking distance, and getting to the old town by feet just takes less than 10 minutes. 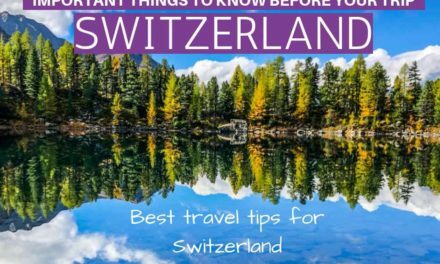 Interlaken is one of the most popular and, in my opinion, one of the most beautiful regions of Switzerland. Though, I am a huge Switzerland fan in general Interlaken region is quite special. 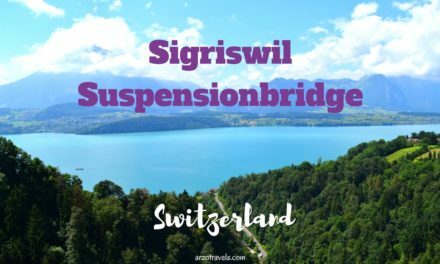 From the hotel, it is not far to the beautiful lakes like Lake Thun or Lake Brienz. Hotel Interlaken looks bigger from the outside than it actually is. It has “only” 61 rooms – including single, double-, triple- or four-bed rooms or a Junior Suite. On the 5th floor, there are also several “budget rooms” – as far as I have understood, they have a bit of guest house character which also means shared restrooms. I had a single room economy, but hardly stayed at the hotel and was out most of the time, so my small room did not bother me too much. If you mind smaller rooms, I would suggest booking a Single Room Business or double room. For some reasons, I cannot find any pictures of the room anymore but the style of the room goes hand in hand with the interior of the whole hotel. There is a kettle so you can make your own tea or coffee (only instant coffee though) and some rooms have a balcony. I cannot complain about my view – though, I actually did not have a balcony as well. 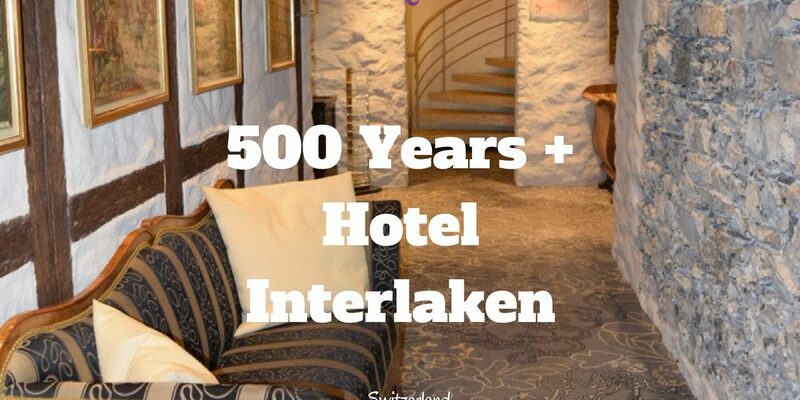 Hotel Interlaken has one bar, Kloster Lounge & Bar and one restaurant, Restaurant Taverne. I had dinner at Restaurant Taverne the first night. The restaurant has in- and outdoor seatings available. I opted out for the outdoor seating since I loved the garden in front of the hotel/restaurant. The garden is really pretty and dining there is quite relaxing. The food was good, too. The Swiss cuisine is not the most vegetarian-friendly cuisine, but there was more than Swiss food on the menu. I had a vegetarian club sandwich, which also was pretty affordable for Switzerland standards and it was actually really good. The staff was friendly and so I would love to visit again. Breakfast was also served in the Taverne restaurant and sitting outside was possible – which I of course did. However, the breakfast was a bit disappointing though. The option was quite limited considering the size and the category (and price) of the hotel. I stayed at that hotel for two nights only and was so busy exploring the area that I did not have the chance to rest in the garden and see more of the hotel. As I liked what I saw it is a bit pity though. Interlaken has, despite the high amount of tourists only one 5* hotel and Hotel Interlaken (4* hotel) is probably one of the best hotels in that region. I really liked the hotel, and wish I had more time to actually enjoy the garden, the surroundings and a longer breakfast than I actually had. The staff was friendly, though a little reserved, but it is a very lovely hotel with a great location, interesting and charming interior and free parking space, and thus definitely a hotel I can recommend. 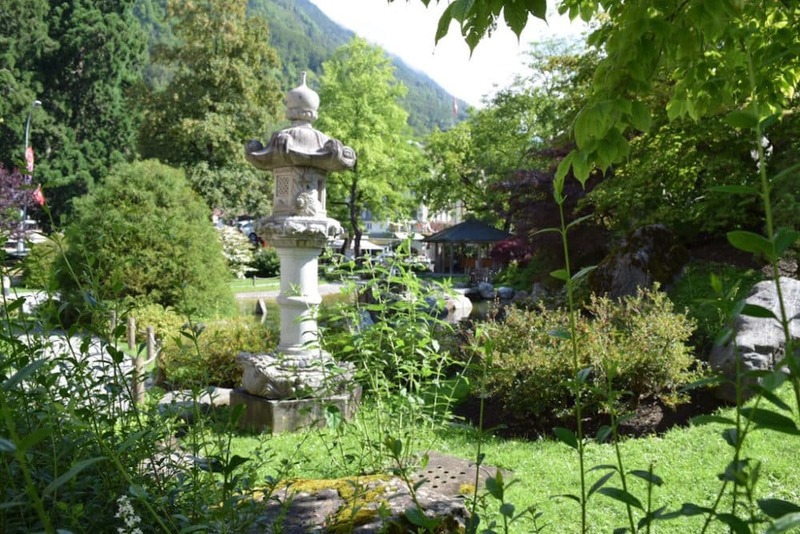 Pet-friendly: Dogs are allowed at Hotel Interlaken :). 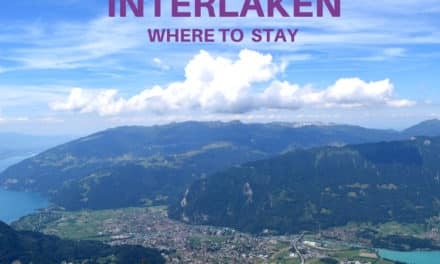 Click here to read more hotel reviews of Hotel Interlaken and here is my full guide for your accommodation in Interlaken.